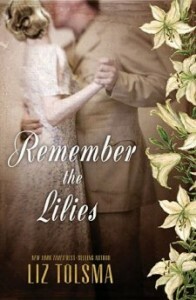 After reading Liz Tolsma’s previous two WWII fictions, I had been looking forward to this one, and was not disappointed. This one is set in the Santo Tomas Internment Camp in Manila, Philippines under the rule of the Japanese. Rand Sterling was a wealthy American club owner, but now is in the camp along with everyone else. Irene Reynolds was raised by her aunt doing missionary work in the Philippine jungle, and works in the camp retyping the letters that had been censored by the Japanese. When Irene recognizes that a letter to Rand is warning him not to escape, she rushes off to find and warn him, thus beginning an interesting relationship between an unlikely match. I connected really well to the characters, and learned so much about the nature and economics of the Japanese internment camps. Tolsma has done her research, and was inspired by an interview she had with a survivor of Santo Tomas Interment Camp, who was there as a child. 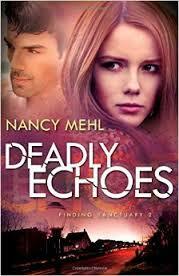 The themes of honesty, vulnerability, and forgiveness also touched me as the characters learned to be open and merciful to the people in their lives, whether close friends or enemies. And I was most inspired as the characters held onto their hope until the end of the war, as I am also walking through a difficult season with my health. The narrative covers so much time: from Oct. 1943 (though starting with an earlier, Dec. 1941, prologue) through Feb. 1945. There were a couple places where the transitions were a little choppy (although it was also really great to see the effects of the camp over this longer timeline). There were also a few places were the spiritual themes felt a bit awkward. Even with these few bumps here and there, it was a meaningful and educational narrative for me, and one I would recommend to lover’s of historical fiction. Hebrews 4 promises that we can all enter into God’s rest. In fact, this passage of Scripture indicates that if we are not able to find our rest in God, we should be alarmed! Regardless of our circumstances, burdens, or weaknesses, we who love God can find fortitude, security, and peace in Him. His yoke is easy, and His burden is light (Mat. 11:29-30). Sometimes this feels harder than it should. I have been finding a new level of rest in God in these past few weeks, where I previously had not fully realized my own resistance to truly resting in Him with my physical health and healing. I was diagnosed with type 1 diabetes about five years ago, and have been looking forward to God healing me ever since. He has personally spoken to me regarding my healing–plus, it is in God’s nature to heal–and so I have been eagerly anticipating this gift. My hope in Him has been healthy, but in my active expectation I realized I had not settled into His rest. In the past several months I came to a place of faith of deciding that I can believe God’s word, and not worry about the details. I do not need to know how or when He will heal me, but can live peacefully in Him in the meantime and be pleasantly surprised when it happens. In the past few weeks, I prayerfully came to a new level of understanding what and how this rest will look for me in my current situation, and for this season of my life. Namely, I have finally purchased an insulin pump and continuous glucose meter! I had been resisting this, even though I knew it could help me function better day-to-day, because it was emotionally too difficult for me to accept and settle into my illness. Ironically, my health has been more dis-eased in the meantime, and probably has been an over-emphasized part of my life because I have had to deal with daily challenges. So, I am settling in! I am accepting my circumstances! And I am choosing to enjoy God in this resting season! His rest is for you too; regardless of your personal obstacles! Happy Purim! Esther is one of my very favorite biblical heroines, so I’ve read several fictional renditions of her story. 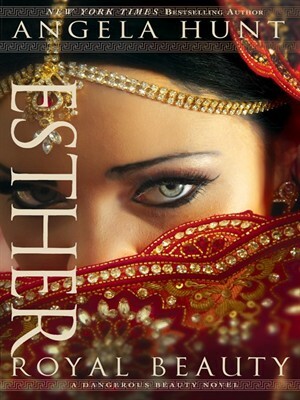 Angela Hunt provides a fresh look at the book of Esther. This unique narrative creatively pulls together one potential historical scenario, beginning with a young teenaged Hadassah, and sharing details beyond the biblical record based on the author’s research (especially of the Greek historian Herodotus). I did not love Hadassah’s character in the opening chapters: she is immature and annoying, focused on girlish fantasies of living in the wealth of the palace as a lover of the King, and as one assimilated into the Persian culture. I set the book down after only a couple chapters because I was having trouble getting into it. But when I resumed reading, I began to quickly engage in the story. Esther soon becomes a very likeable queen, and the transformation in her persona makes her more relatable, and emphasizes God’s work in her. I also enjoyed the dual perspective that this narrative is written from: half from the perspective of Hadassah, interspersed with chapters from the perspective of one of the King’s eunuchs, Harbonah. Almost all of the story is “new” and from a unique and interesting viewpoint, so the details stood out and caused me to think beyond the story to consider the characters (especially the motivations of the King) in a new light. 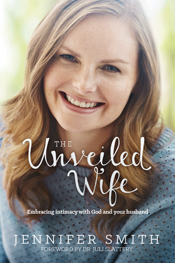 I found it a particularly interesting twist that Esther desired the company and affections of the King, since I’ve typically heard the story differently–but realized that if God gives us the desires of our hearts, why not also give Hadassah the desire to fulfill her calling as the Persian Queen? This was enjoyable to read, would be interesting to discuss in a group setting, and–because it did not have a strong message beyond painting the historical picture–has the open-ended gift of speaking to different people in different ways.